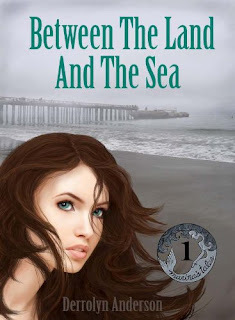 And now, to celebrate the completion of her series, Derrolyn is offering ALL of our blog readers a chance to read book one, Between the Land and the Sea, for free! Simply go to the Smashwords page here, add the book to your cart, then enter coupon code FM28V during checkout. And Between the Land and the Sea is yours to read for free! Enjoy! Read this book for free!! !